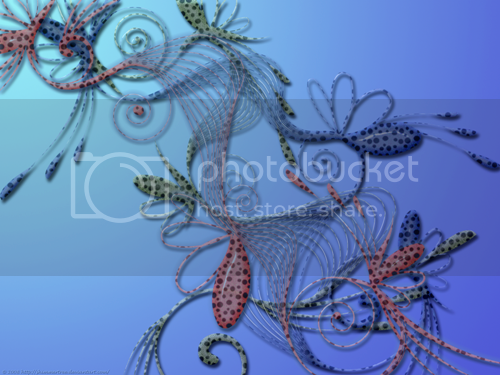 Wow ;) Finally, I finished the design submission for Graphic Flux June Graphic Design Challenge. Still 5 days to go for the entry deadline date, so please join now if you still haven’t submitted your own design. The group's name is Xerces. They are your countrymen and need to make a global impact with this release. Groundbreaking artwork for their CD will be used to carry over to their other media to create a strong connection to the group. 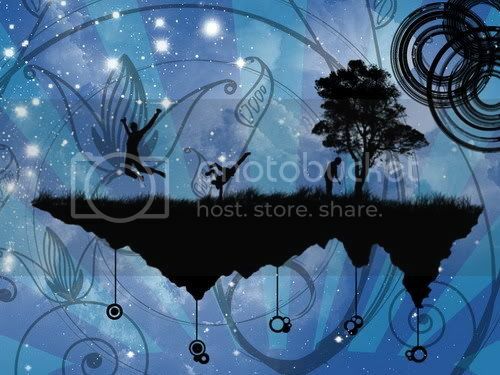 Xerces' main focus is music for rain forests. They are all about letting the world know about this incredible but shrinking resource. They would like the CD artwork to reflect their passion for rain forests. 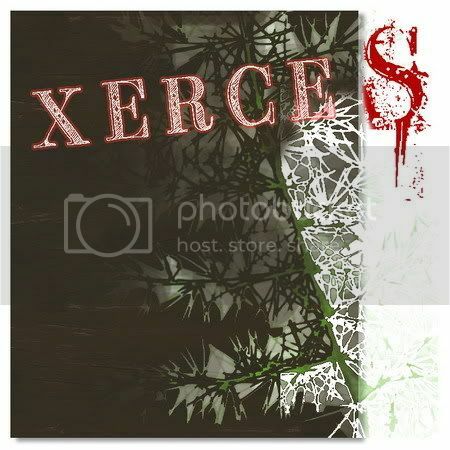 Xerces wants to keep the artwork 4-color and their only other requirement is to use the font face 'Petie Boy' available for a free download from Bittbox. 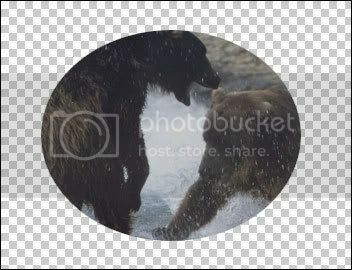 To set 4-color schemes only into this CD cover design is absolutely challenging, so I went to see natural background that has mono color hue and this dark wooden board background became my choice. Xerces’s is a unique band and focusing on music for rain forests, therefore emphasizing it to fit the natural context is important. 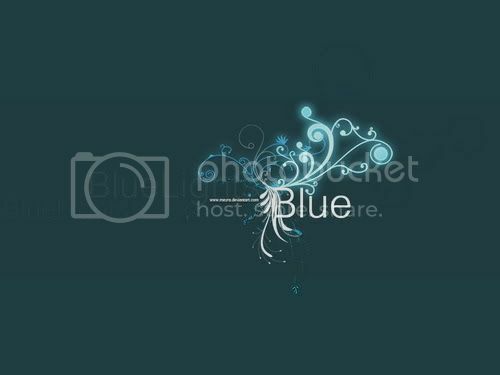 I want it to be simple but mystify at once :p, so I was adding up a floral abstract leaf which has rich detailed texture. 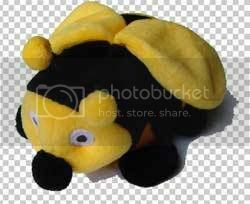 To be honest, I prefer to have destroyed BB Petie Boy fonts on the design. But, then again, it is rather difficult for me to make it readable when only 4-color schemes allowed to use in this design challenge. In the end, I decide to put the red “S” destroyed font letter to spice up. The other font’s characters are white and to make it stand apart from the background, I thought I need to add red stroke to each of it. I want to hear your comment regarding to this design challenge and my design submission! :D so please drop comments and I really appreciate it if you would join this Graphic Flux June Graphic Design Challenge also! It is always a very interesting found when we see our Photoshop brushes collection have turned up into something useful for everyone. 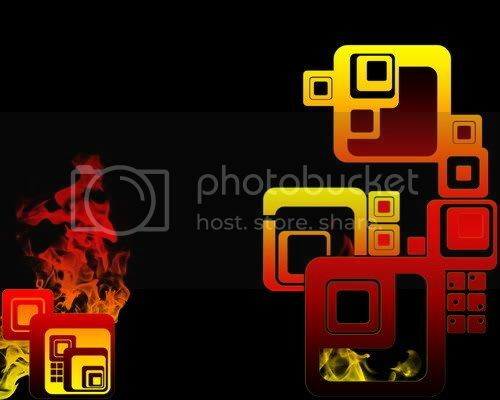 These are some great wallpaper graphics, web design and graphic design that applying Graphic Identity photoshop brushes set as one of their design element. 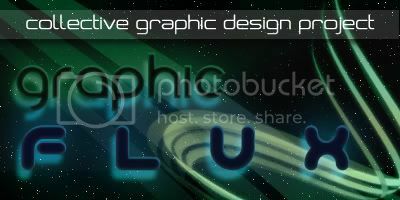 The June's Graphic Flux has started, as Psiplex.com announced the theme of the challenge for this graphic design project. You can grab the banner above if you like to spread this challenge to the internet readers across the globe! 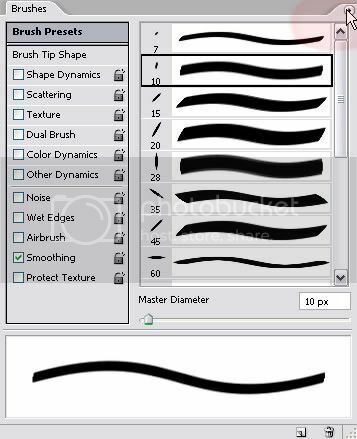 I got a very interesting question on my previous tutorial (How to create vector photoshop brushes). A blogger mate was having a problem to organize long collection lists of brush set. I will never been dealing with such problem if I haven’t got this comment posted. So, I would say thank you anonymous mate! Below there is a screen shot showing how these lists get you dizzy because they are all appear together and arranged in alphabetical order, but sometimes you don’t have to use the major numbers of them. 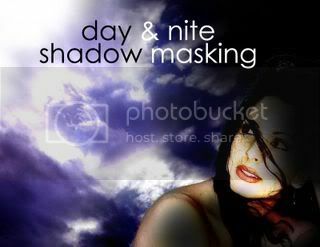 If you are a graphic designer and using photoshop brush set a lot, being practical in everyway to finish your job is foremost. 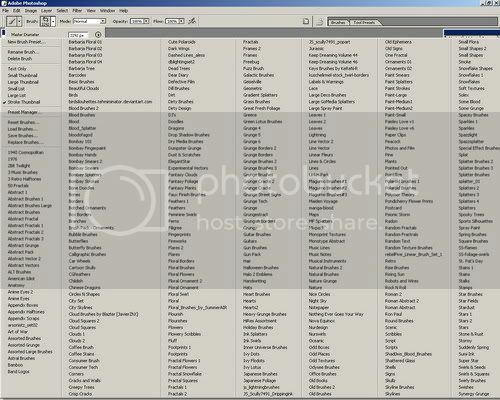 I would have to say that you need to be tidying up your photoshop brushes set list, since on the internet most of them are categorized and designed in different style or theme. 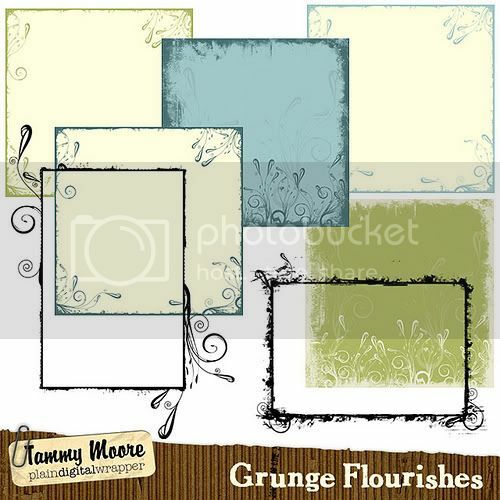 For example, there are thousand kinds brushes set, such as Foliage, Grunge, Architectural and many more. Should this tutorial, will help you more?…. Just try it ;) and gimme comment if I may get missed out something ok.
Okay…. Let’s see, how this thing works. Actually there is an easy way to install photoshop brush set in your workspace as you can read it in my previous tutorial. Well that kind of way would rather have limited options if your main concern is to tidy up your long list of brush set. 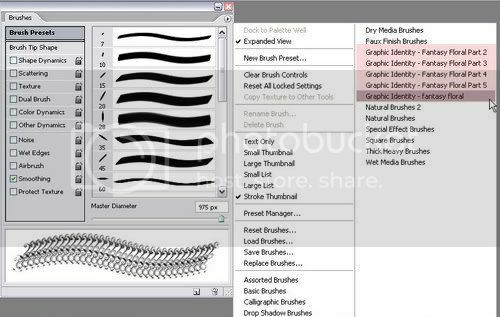 See how you can save your time by installing all your brush set to your system operation folders (I’m a Windows user), then creating different kinds of Menu Customization Set to group your photoshop brushes set based on their style and theme. 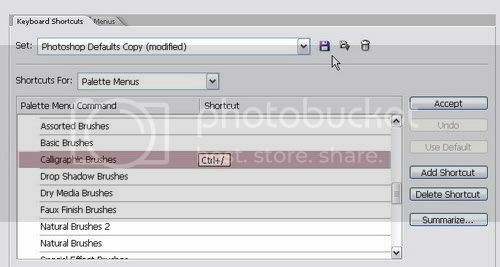 Firstly, all you have to do is to move your photoshop brushes set collection to this system root folder, as you seen below. I don’t know how it looks in Mac, but I am sure it would works pretty similar. 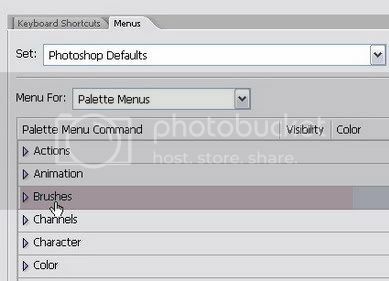 Go to the menu Edit > Keyboard Shortcuts and Menus (Alt + Shift+ Ctrl +K) and click the Menus tab, then on the Pallete Menus Option Box, Find Brushes option. 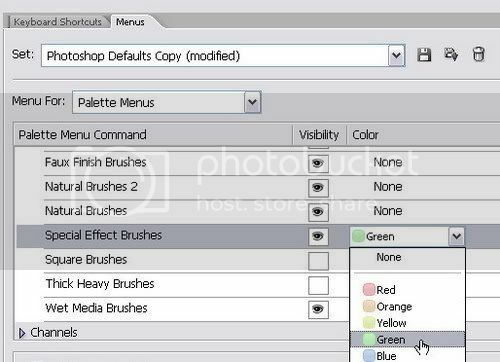 All of your photoshop brush that you have moved into the system folder is now appeared in this customization box. Each of them is now signed as Palette Menu Command. From this stage, you can start to group your photoshop brush set based on their design style or theme. Turn off the visibility of other type of brushes set that you think would not related to the group of style that you are about to create. 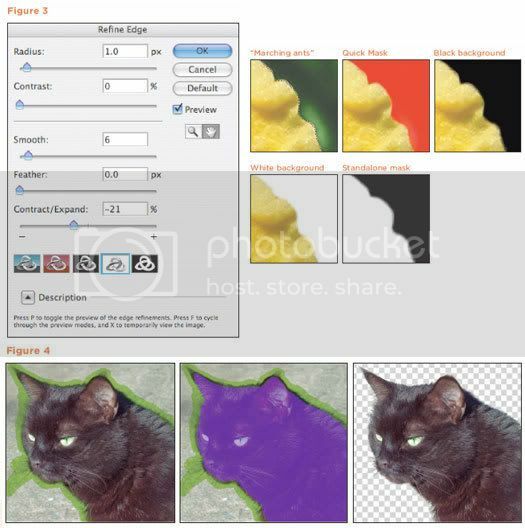 You can also add up highlight to your photoshop brush just like what is shown above with a color. Go back again to the menu Edit > Keyboard Shortcuts and Menus (Alt + Shift+ Ctrl +K) and click the Keyboard Shortcuts tab, then on the Pallete Menus Option Box, Find Brushes option. To assign a shortcut for a brush set, click the right side of the row lists, and then fill the blank box with available shortcut as you wish. Click the Accept button if you already sure with the choice of shortcut available. You can assign more than one shortcut by clicking the Add Shortcut button, and fill in with alternatives of available shortcut. Removing the shortcut would be simply done by clicking the Delete Shortcut. 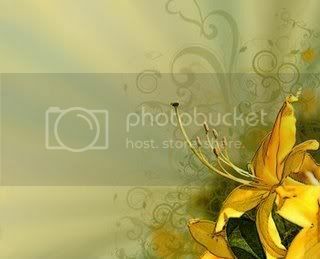 Summarize button will allow you to save all the lists of this set in a web page format for further use. If you think that you already have the group list complete, save this Menus Customization set, and name it with according to the group design style or theme. 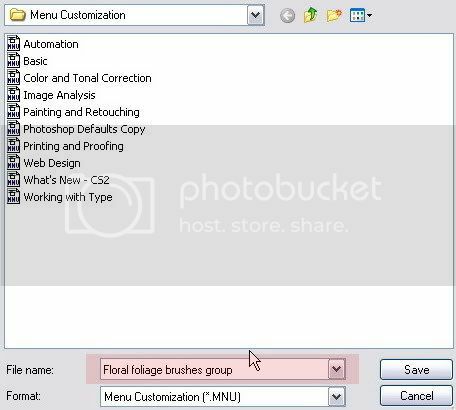 The settings will be saved in .MNU file format, and you can re-customize it whenever you want by repeating what has been explained in the initial steps. 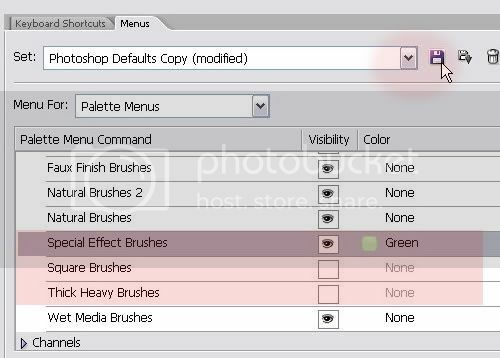 Creating new Menu Customization to group some photoshop brushes in one file is a great idea because whenever you need certain design style of brush set, you just need to activate one of the Menus Customization set in the list. 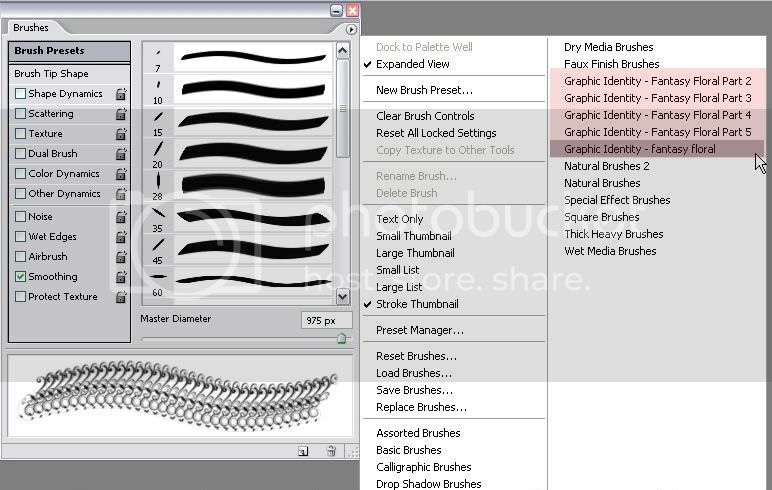 Check the list on your Brush window by entering menu Window > Brushes (F5). 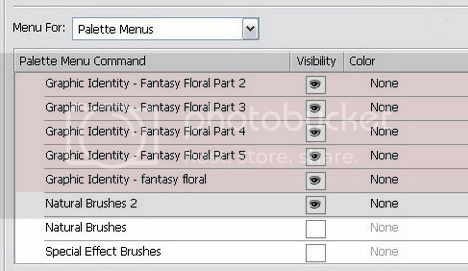 Click the tiny arrow on the right top to show the tray menu commands, and you will find your brush set menus customization listed. It was started from a small discussion with graphic designer friends who are also bloggers, I have an idea to set a collective graphic design blogging activity. An event that I hope will be continuously persist in every month and growing. 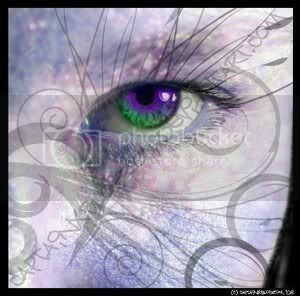 The main objective is to showcase everyone skills and talent in graphic design. The submission entries don’t have to appear like somewhat of professional graphic designer can do. They can be a process of a newbie experiment to learn advance technique...anything that will express your sense of art in graphic design or simple stuff that has developed from creativity. Graphic Flux is the title of this Collective Graphic Design Project and it was first brought by Psiplex.com. We hope that this collective blogging project will dynamically visualized your graphic design as we are calling out more and more graphic designers or everyone who has big passion to graphic design to get involved into this project. In every month round, we will set a new graphic design task for the participants. We think that different theme challenge in monthly time line set would encourage you to stay creative with more challenging task. 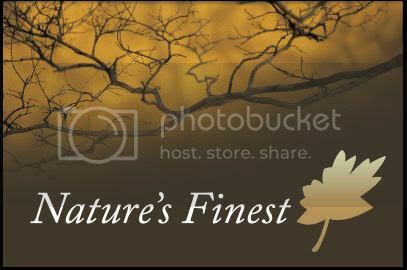 We will choose the blog host every month to showcase all the entries. If you are a Blog Catalog user, and has been actively involved in our group called Blog Catalog Graphic Design Group, then your chance to be chosen as the host blog for this project should be more. As we announce the new monthly round task, give yourself time to design as what will be described in Graphic Identity blog or the host Blog! We think that monthly round timeline should give all the participants to design and relax into pure creative time. 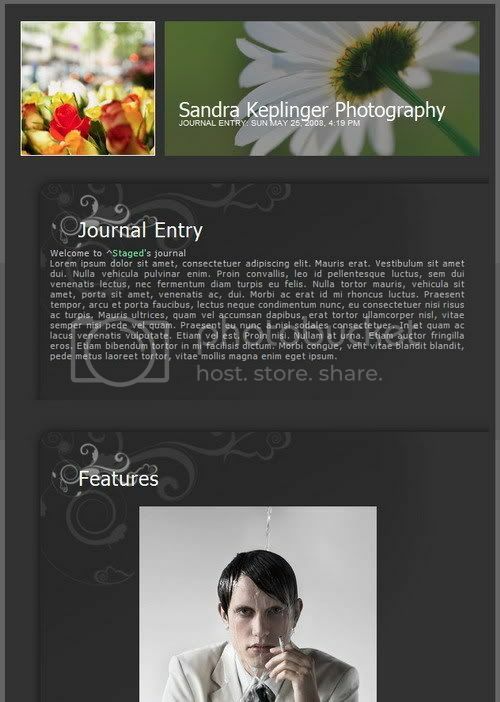 Create your graphic design based on the theme’s format and rules. When you are finished with your design, just post it in your blog and don’t forget to link back to the chosen host blog and to the Graphic Flux announcement post on the host blog itself. If you are not a blogger, you can always write a guest post about your submission design on my blog or your friend’s blog. Describe your design process tricks and tips or just share the story of why you come up with your design. The deadline for each entry submission would be in the date of 30th every month. Once the submissions are in, the host blog will pick some of the best designs and showcase them on a round up post in the following month. You are allowed to contribute only one design per project/site. You can learn new tips and techniques from other blogger mates who have joined this blogging project. Showcase your design work in a growing community and having a chance to let people find out more about you. 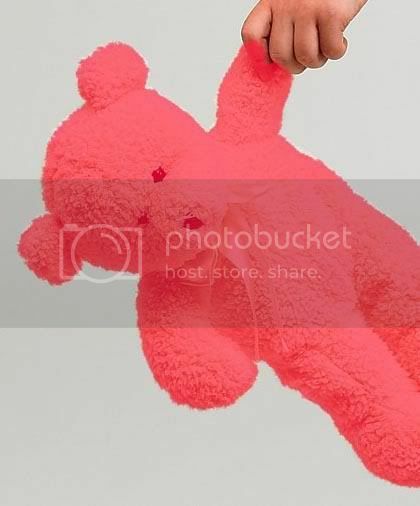 You will get more related back links and of course: Link Love. By the end of the month, Graphic Identity blog will give the link love to all the participants of this graphic design project in a monthly round up post. Graphic Identity Blog now has received PR 5, so please use this benefit and submit your entry when we launch this project next week! The Blog Host for this collective project is already chosen, and that would be Psiplex.com. While we gather more participants within a week, kindly subscribe to Graphic Identity blog Feed to hear the next update about the project task for the June’s round.